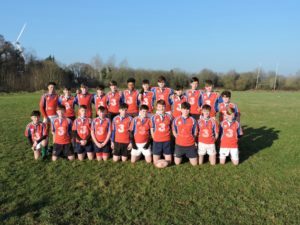 Great win for our Under 15s this morning over Nenagh in the League. 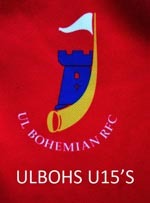 Well done to Justin, Colin,Liam ..
Our Under 15 Ul Bohs/Richmond team just came up short against Shannon today in Annacotty. Conditions..
ULBohs U15’S(17) v Shannon U15’..
ULBohs U15’S(17) v Shannon (14) Date: 1/12/2013 U15 League Venue: Co..
UL Bohs U15s vs Lough Derg Date :`24/11/2013 Result : 38 -17 A more confident a..
ULBohs Under 15’s, City of Derry ..
ULBohs Under 15’sCity of Derry RFC ,Tournament Winners.Match Report by Jim Lyons. U..